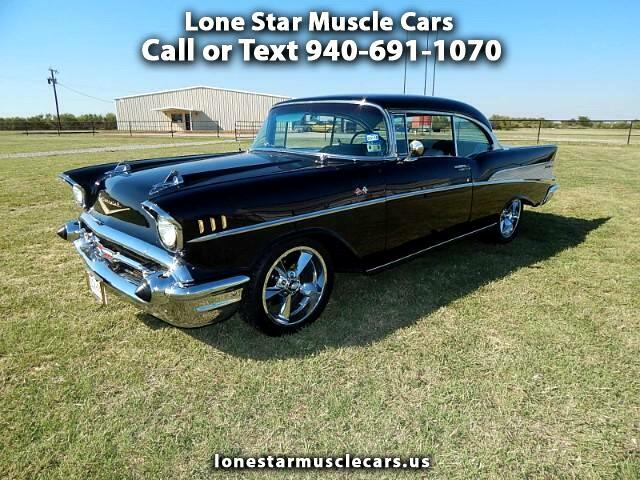 Looking For That Special 1957 Chevrolet Bel-Air That Sits Apart From The Crowd Well Looking Is Over. This 57 Has It All Looks Attitude dependability and very collectible. Lets start out with a super nice 1957 and install a fuel injection 350 motor with an automatic transmission Power Steering And Power Disc Brakes Vintage Heat And Air System That Will Freeze you Out. A Ride Tech System For That Special Look When You Pull Up Or Showing Off This Super Nice Bel-Air. Fresh paint on this Laser Straight Body All New Interior Done In The Original Look With The Cloud Fabric. Don't Let This one Pass You By.